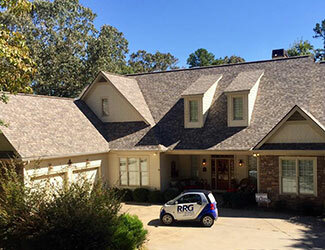 Roofing Resources of Georgia is a local Owens Corning Platinum Preferred Contractor that has been serving the North Georgia area since 2010. We have 17 years of licensed insurance experience and are North Georgia storm specialists. This experience has made us experts at working with your insurance company to ensure you get the maximum benefit from your claim, whether it’s simply roof repair or new roof installation. We will make sure that the work is completed properly, and with a warranty you can trust. We are fully qualified contractors in all aspects of construction, with a focus on providing guidance and education for our customers when their homes have damage resulting from hail, high winds, fallen trees, water damage and more. We can handle your roof, whether you need traditional asphalt shingles replaced, tile roof repair, or metal roof repair. Roofing Resources of GA LLC will always deliver on our promise to ensure the best-quality materials, the most professional roofers, and courteous customer service that exceeds all other roofing companies. Roofing Resources of Georgia stresses integrity, excellence in workmanship, and strong positive relationships with our customers in all of our roofing services. Roofing Resources of Georgia is fully committed to giving our customers the best experience there is! We promise that we will do everything we say we will do. We will show up on time and we will communicate with you every step of the way to get you the roof you need and deserve! Contact us today to talk with the best roofing contractors around!